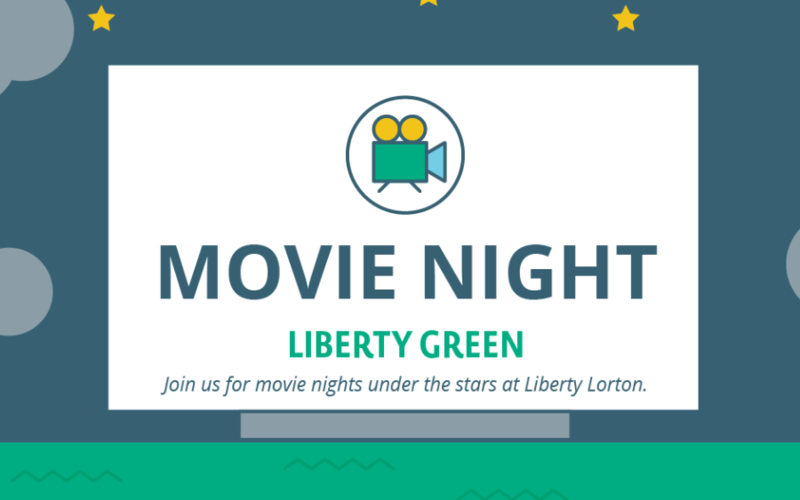 We are hosting four outdoor movie nights throughout the summer for FREE on the Liberty Green. All Lorton area families are welcome to join so invite your friends and neighbors. Guests are welcome to bring blankets and lawn chairs for seating. Plan on arriving thirty minutes prior to sunset. All movies begin at dark — plan on arriving 30 minutes prior to sunset to grab your spot on the Liberty Green — the former baseball field, located on Central Green Street. Parking is limited, we encourage walking or biking to movie night. By a tragic twist of fate, Blu, a macaw parrot, never had the chance to learn how to fly. Far away from sunny Brazil, Blu now lives in snow-covered Minnesota as the pet-friend of his human companion, Linda; however, as the last of his endangered species, the flightless bird will soon find himself in Rio de Janeiro to meet the last female of his kind–the feisty, Jewel. But, when calamity strikes again, and the feathery couple gets kidnapped, Blu must summon up the courage to finally believe in himself. Rated G.
This is the story of Mr. Fox and his wild-ways of hen heckling, turkey taking and cider sipping, nocturnal, instinctive adventures. He has to put his wild days behind him and do what fathers do best: be responsible. He is too rebellious. He is too wild. He is going to try “just one more raid” on the three nastiest, meanest farmers that are Boggis, Bunce, and Bean. It is a tale of crossing the line of family responsibilities and midnight adventure and the friendships and awakenings of this country life that is inhabited by Fantastic Mr. Fox and his friends. Rated PG. A fairy tale adventure about a beautiful young woman and her one true love. He must find her after a long separation and save her. They must battle the evils of the mythical kingdom of Florin to be reunited with each other. Based on the William Goldman novel “The Princess Bride” which earned its own loyal audience. Rated PG. Back when the Earth was being overrun by glaciers, and animals were scurrying to save themselves from the upcoming Ice Age, a sloth named Sid, a woolly mammoth named Manny, and a saber-toothed tiger named Diego are forced to become unlikely heroes. The three reluctantly come together when they have to return a human child to its father while braving the deadly elements of the impending Ice Age. Rated PG. In the event of rain or severe weather, check here and follow us on Facebook at The Liberty Life, Instagram @LibertyLorton, and Twitter @LibertyLorton.